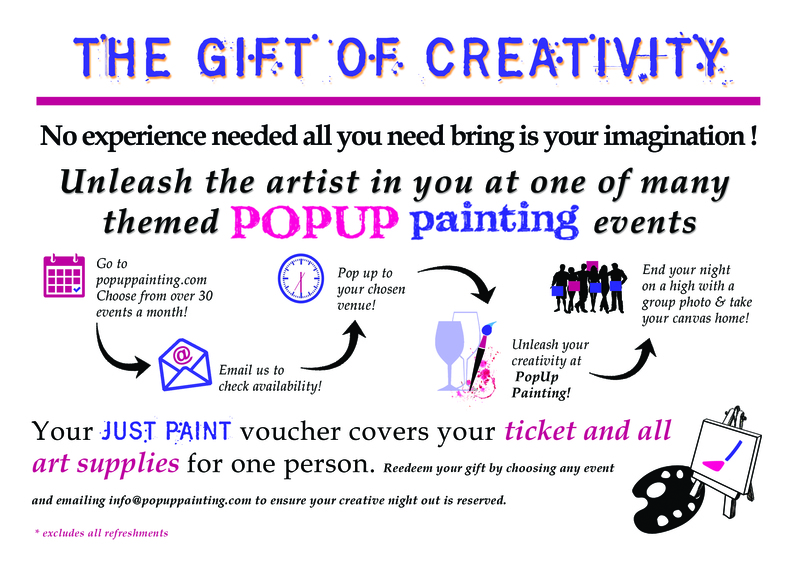 £29.99 including VAT – covers ticket entry for one person and all art supplies for any event. 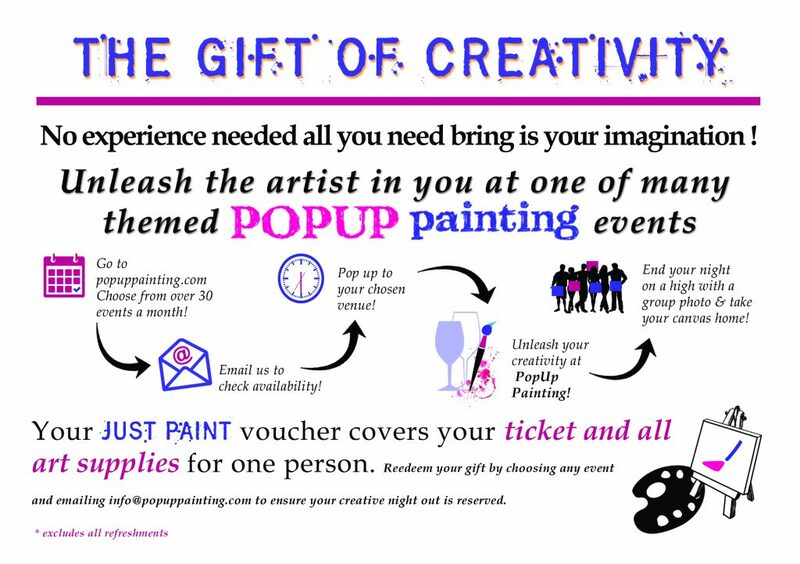 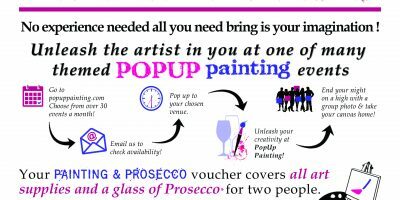 To redeem voucher, recipients should email us at info@popuppainting.com to ensure we reserve a place at their chosen event. 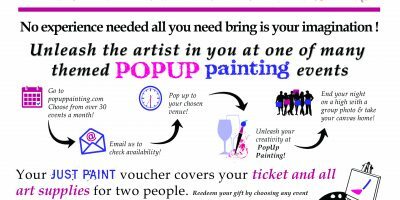 Vouchers purchased from 1 December 2018 will be valid for 12 months from date or purchase.